It is estimated that humans have been growing and eating dry beans for more than 11,000 years. In the Americas, beans have been grown for about 6,000 years. Dry beans, a subgroup of pulses and legumes, are climate-smart: they simultaneously adapt to varying climates and use less water compared to many other protein sources, require less fertilizers, and they increase biodiversity, all which play a part in reducing greenhouse gas emissions. Dry beans are climate-smart: they have broad genetic diversity from which climate-resilient varieties can be selected. 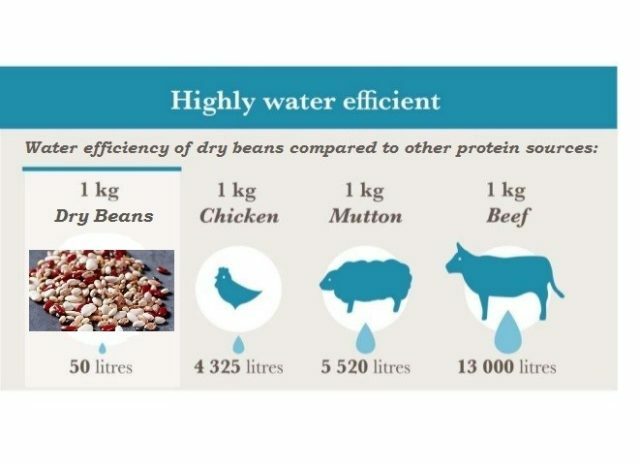 Beans are also highly water efficient and require less water compared to many other protein sources. Dry beans are nitrogen fixers, meaning they return nutrients to the soil so they need less fertilizer – both organic and synthetic – and in this way, play a part in reducing greenhouse gas emissions. By fixing their own nitrogen, dry beans are also able to increase biodiversity, creating a more diverse landscape for animals and insects. A high soil biodiversity also improves the ability of ecosystems to suppress diseases. 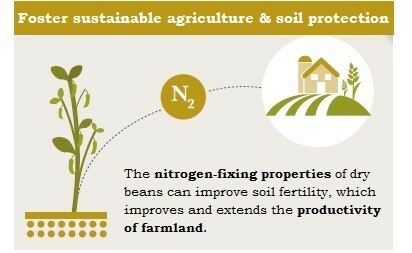 The inclusion of beans in crop rotations exploits symbiotic microbes to fix nitrogen, which is then partly transferred to subsequent crops, increasing their yields. Dry beans are a vital source of plant-based proteins and amino acids, and can be consumed as part of a healthy diet to prevent and help manage chronic diseases. Their high nutrient content also makes beans ideal for vegetarians and vegans to ensure adequate intakes of protein, minerals and vitamins. With a low glycemic index, low fat and high fiber content, beans are suitable for people with diabetes. Beans increase satiety and may help to stabilize blood sugar and insulin levels. According to a report by the Food and Agriculture Organization (FAO), beans may also reduce the risks of coronary heart disease. Beans are good sources of vitamins, have high iron content and are rich in bioactive compounds such as phytochemicals and antioxidants that may contain anti-cancer properties. Protein obtained from beans is significantly less expensive compared to other sources and contribute to food security in multiple ways, such as for the smallholder farmers who consume part of their agricultural produce. 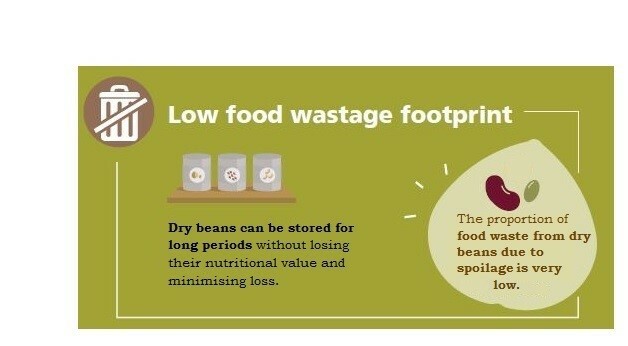 With food waste being one of the main problems related to food security, beans have a long shelf life and can be stored for months without losing their high nutritional value, providing increased food availability between harvests. Beans are an excellent complementary food for infants and young children to meet their daily nutritional needs. They can be incorporated into children’s diets through family meals and school meal programs in both developed and developing countries. The United States is a global leader in dry bean production and export. Each year, U.S. farmers plant from 607,000 to 690,000 hectares (1.5 to 1.7 million acres) of edible dry beans. 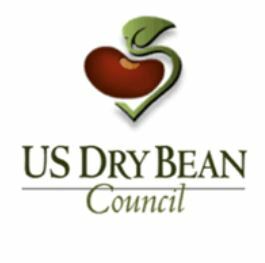 In 2016, U.S. exports of dry beans are estimated at $320 million. Approximately 20% of annual U.S. dry bean production is exported annually. Major U.S. universities are conducting extensive dry bean research to develop new varieties of insect and disease-resistant dry beans. Advanced corn production methods such as low-till and no-till planting greatly reduce energy consumption, soil loss, pesticide use, and greenhouse gas emissions while enhancing yields.